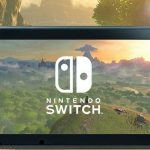 The Nintendo Switch has a unique opportunity in the world of modern gaming that the Xbox One, PS4, and even PC can’t really compete with: a decent list of backwards compatible titles that I imagine most gamers will not have played due to them being on a poorly received (albeit good) previous generation console. I am, of course, referring to the Wii U, which did not perform well at all but did feature a host of decent games, a lot of them being console exclusive as well. So with Nintendo releasing the universally acclaimed Switch, they have a decent back catalogue of games guaranteed to sell because people will have heard of them, but most would not have played them. 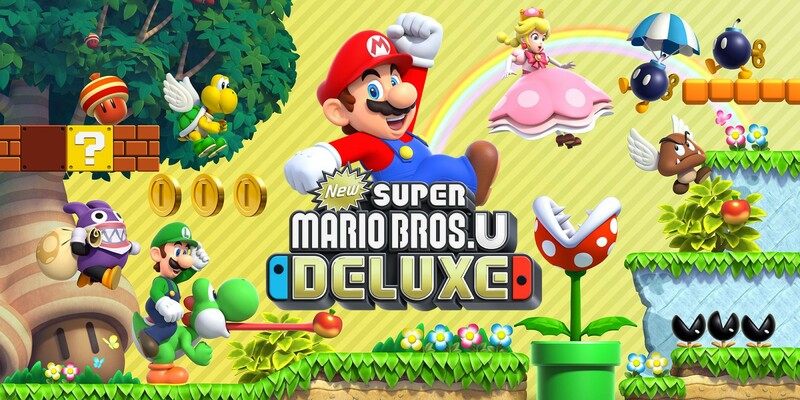 Nintendo has already seen such success with Mario Kart 8 being re-released on the Switch, and now Nintendo hope to capitalize on this by releasing New Super Mario Bros. U Deluxe for the Switch. So for those of you perhaps asking what exactly is Super Mario Bros. U and why is it deluxe, well, the original Super Mario Bros. U released way back in 2012 (that’s rather depressing, right?) and was actually a launch title for Nintendo’s ill-fated, early hybrid console. What is deluxe about it, I hear you ask? Well, much like Mario Kart 8 Deluxe, this also ships with all the DLC included. Okay, so what’s ‘new’ about it, I hear you ask? Well, that is also easily explained. 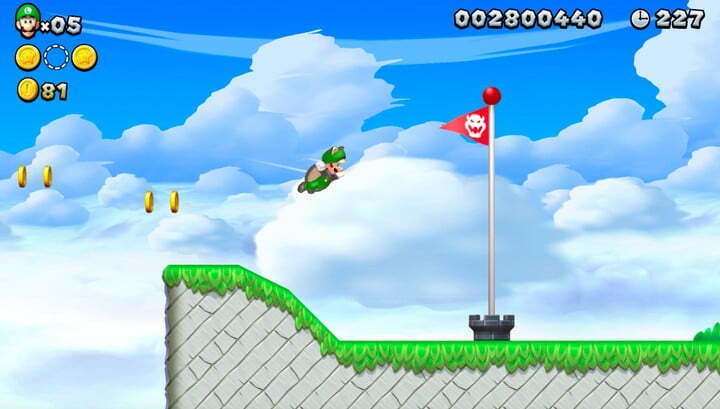 The ‘New’ Super Mario games are any traditional Mario game released after 2006’s New Super Mario Bros. for the DS. 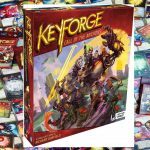 Some longtime fans love the ‘New’ look brought in by the 2006 release, sort of a reboot of the franchise, while others don’t. If you are part of the latter group, I fear you may not get much enjoyment out of this as it is the most ‘newest ‘new’ Mario there is. The soundtrack is full of WAAAAAAAAAs, which even for someone who doesn’t mind the ‘new’ games, it gets extremely tedious rather quickly. Joining Mario on his quest to yet again rescue Princess Peach is, of course, Luigi, Yellow Toad, and thanks to the New Super Luigi DLC, we are also joined by Toadette and Nabbit. The standard three characters are pretty much all the same, they control similarly, and really the only differences are cosmetic. Toadette and Nabbit, on the other hand, do offer something else, namely a sort of easy mode for players with two big differences. Toadette is a lot easier to control, she doesn’t slip and slide like the other three main characters, so jumping with her becomes a lot, lot easier as this is another feature of the ‘New’ games, that Mario and co. seem to always feel like they are on ice. Another feature for Toadette that makes her a lot easier to play as is whenever you find an extra life, instead of receiving the usual 1-up, you’ll get a 3-up. 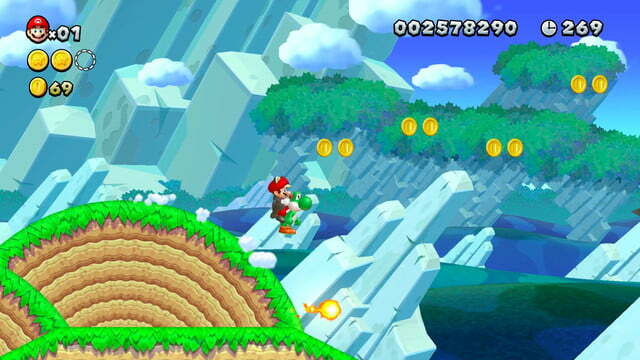 Not that Super Mario Bros. U is a particularly taxing platformer, mind. The other ‘easy’ mode character comes in the form of Nabbit. Now, Nabbit is a bit of a weird one. He is totally invulnerable to enemies and projectiles. So he’s invincible, I hear you ask? Well, of sorts, yes, but he can still die from falling down a hole, which is how I die 70% of the time in a Mario game, and I am sure that must be the same for a lot of you. One major downside to playing as Nabbit is his inability to pick up power-ups. Not only does this take a huge part of the fun out of a Mario game, it means that certain gold coins are out of reach for the purple sack-carrying rabbit. It is a bit obvious that Nabbit was included in the game for a rather younger audience, but he is just boring, to be honest. Another feature of the DLC is an alternative story mode that removes Mario completely from the game, increases Luigi’s jump, and shortens the levels slightly as you only have 100 seconds on the clock as opposed to the usual 300. This mode was pretty much wasted on the Wii U and by consequence feels right at home on the Switch. This mode is perfect for a small, daily commute. It’s fun, fast and frantic, and it is actually a bit more enjoyable than the same old gameplay you’ll find in the main story mode. That last bit is what truly affects Super Mario Bros. U on the Switch, it’s just a normal Mario game, which might have been fine if it was a Switch launch title, but we are over two years since launch, and there are so many better platformers available on Nintendo’s hybrid console. If you want to scratch that Mario itch, Super Mario Odyssey is a much better choice. It is a shame, I want to like Super Mario Bros. U more than I do, but at best it is just an okay Mario game, and for the price (£42rrp) there are more titles available on the Switch that will be a lot more worthy of your hard-earned cash. New Super Mario Bros. U Deluxe for the Switch isn't really new. It is the same old Mario game you have played time and time again, but this time it just isn't enough. Super Mario Odyssey showed just how good a modern Mario game can be, and even with the DLC bundled in here, there are many more games on the Switch deserving of your attention.